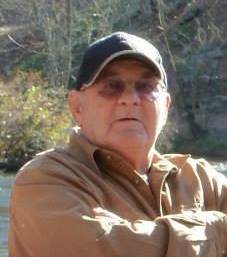 Mr. Gerald Curtis, age 80, of Covington passed away Sunday, August 12, 2018. He was born November 11, 1937 in Porterdale to Paul Taylor and Ruth Few Curtis who have preceded him in death. Mr. Curtis attended Newton County High School and was a member at Porterdale Presbyterian Church. He worked for and retired from Hercules. Following that career he went on to work for and retire from Newton County working eleven more years. Mr. Curtis enjoyed playing golf, and gardening. He was preceded in death by his grandson Korey Curtis and his brother Garland Curtis. Mr. Curtis is survived by his wife Bonnie Curtis his daughter and son-in-law Debbie and Sonny Jackson of Covington his son and daughter-in-law Barry and Tela Curtis of Oxford his grandchildren Keeli Fluhart, Misty Jackson, Brook Jackson, and Kyle Curtis his 11 great grandchildren along with numerous nieces, nephews, other family and close friends. Funeral services for Mr. Curtis will be held at 2 o’clock Tuesday, August 14, 2018 at the Chapel of J.C. Harwell and Son Funeral Home with Mr. Phil Payton officiating. Interment will follow at Lawnwood Memorial Park. The family will receive friends at the funeral home from 12:00 PM until service time on Tuesday. J.C. Harwell and Son Funeral Home, 2157 East Street, SE, Covington, GA 30014 is in charge of the arrangements. A guest book may be signed on-line www.harwellfuneralhome.com.